Cambridge Federal is now a Value Added Reseller (VAR) of Microsoft Office 365, Exchange, and Azure. Allow your business to do more with Microsoft Office in the cloud, and allow Cambridge Federal to help grow your business. Check out the plans on the websites shop! Or give us a call! Cambridge Federal has established a multi-tenant, US based Call Center facility and developed respective capabilities serving multiple companies, agencies etc.. The Call Center Representatives route and dispatch respective service technicians on calls. Cambridge Federal is currently under contract to perform master scheduling, customer interface, appointment scheduling, monitoring and dispatch of related Building Energy Efficiency Analysts and Weatherization Technicians in support of BG&E, PEPCO and SMECO electric utility companies in the state of Maryland. 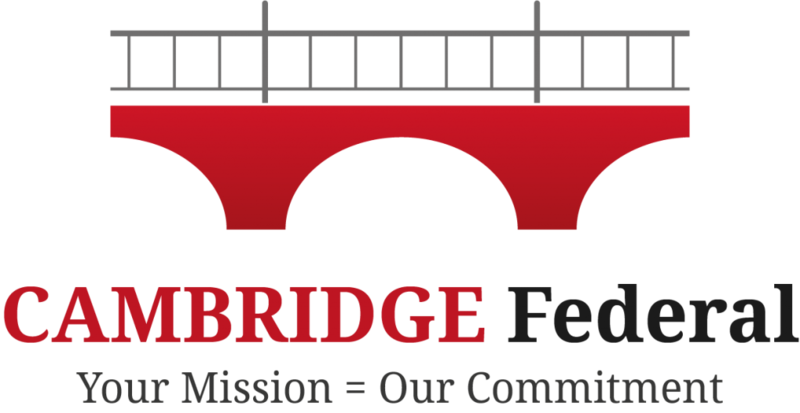 Cambridge Federal has established a multi-tenant, US based sourced Help Desk facility in Cambridge, Maryland and provides related Help Desk services to multiple companies, agencies, etc. Cambridge Federal is capable of providing on-site and off-site help desk services. The Help Desk services provide Subject Matter Expertise and support on systems, applications and business processes. Cambridge Federal offers a help desk for SAP, Oracle, Workday, Microsoft Office Cloud, Microsoft Office 365, Microsoft Office Exchange, and Microsoft Office Azure. Functional Area 1 - Enterprise Service Provider (ESP). Services to ensure that information systems are designed to capitalize on agency architectures and State IT standards, provide interoperability with other systems and networks, be reliable and maintainable, and make the most cost-effective use of commercial off-the-shelf (COTS) technology and agency-wide and government-wide resources. Functional Area 2 - Web and Internet Systems. A broad range of business solutions and support using the capabilities of the web and Internet; design, develop, test, implement and maintain web sites, portals, web applications and web services and the associated hardware, software, network and security components that comprise these solutions. Functional Area 3 - Electronic Document Management. Service to establish or maintain electronic document imaging, document management, document workflow, and associated technologies. Functional Area 5 - Software Engineering. Service to provide full life cycle of a software system development. Process definition; requirements management (project planning, quality assurance, project tracking and oversight, organizational process focus). Functional Area 6 - Systems/Facilities Management and Maintenance. Systems/Facilities Management and Maintenance services include: Data Center Technical Support/Operations, and Help Desk. At the State’s discretion, these services may be required to be provided externally to the requesting agency. Functional Area 7 - Information System Security. The security of information and computing resources at all organizational levels; including software/application and data security support, as well as disaster recovery planning and risk assessment. Functional Area 8 - Application Service Provider. Combination of software, hardware and networking technologies to offer hosted, service-based applications. Functional Area 10 - IT Management Consulting Services. The IT Management Consulting Services include any of the following types of services: IT enterprise architecture, systems review for architectural consistency, strategic planning assistance, project management services, Master Contractor assessments and risk assessment analysis. Functional Area 11 - Business Process Consulting Services. Streamlining business processes and the development, implementation and support of process improvements to eliminate redundancy, increase productivity, and reduce cost. Functional Area 16 - Media and Training Center Support. Services to support multi-media and education centers including, but not limited to: planning, analysis, troubleshooting, integration, acquisition, installation, operations, maintenance, training, documentation, and administration. Functional Area 17 - Documentation/Technical Writing. Develop and/or maintain the following types of documentation: system documentation; user manuals; computer operations and program maintenance manuals; plans for training, testing, quality assurance, and contingency operations; and backup, recovery and restart procedures; technical writing for proposals, presentations, standard operating procedures (SOP), and policies and procedures.